Balancing riverside luxury and colonial charm with a rush of real adventure, Anantara Hoi An Resort has teamed up with Active Adventure Tours and invites guests to explore Vietnam’s more off the beaten track sights with an exhilarating range of open jeep countryside tours. 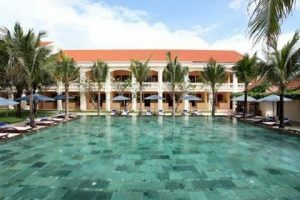 Edging the Thu Bon River in the historic port town of Hoi An, Anantara Hoi An broadens its cultural appeal with close proximity to some of Vietnam’s most iconic heritage sites and natural wonders. 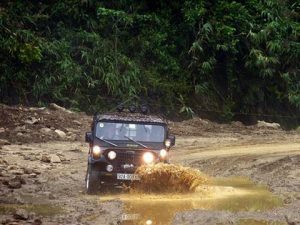 Inspiring savvy travellers to venture off the beaten track, the resort’s Open Jeep Countryside Tours are completely different to the usual offering, focusing on the excitement of the journey and not just the destination. The freedom of original discovery covers remote terrain and hidden havens, unseen by the masses. 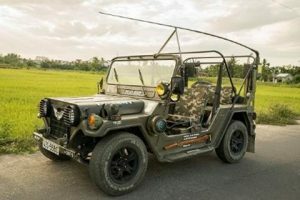 Open jeeps afford a closer personal connection to changing landscapes and local life, enhanced by the option of taking the roof off. Creative itineraries investigate beyond the confines of a guidebook, and whilst encompassing all the key landmarks, each excursion is unique. Passionate local guides are always on the lookout for fresh routes and secret finds, meaning that the map of each tour is constantly evolving, and typically no two trips are the same. Setting off at dawn, this trip beats the heat and avoids the crowds. Whisking travellers off the usual route to My Son, this half day tour starts at sunrise, passing through lush rice paddies and the Thu Bon River delta region. A stop at a rural market introduces the bustling morning rituals of country life. Upon reaching the ancient Champa Kingdom capital of My Son, guests enjoy a continental breakfast and take a silent stroll through the UNESCO World Heritage Site at a time when few others visit. In this celebrated historic vestige, the story of impressive ruins is brought to life by a well-informed guide. In the background, Champa music plays as a traditional dance performance begins. The return journey is equally insightful, traversing small country lanes and pretty hamlets. This full-day adventure packs in diverse highlights, in a way few travellers are privileged to witness. The first stop is Thap Bang An – home to a 1,000-year-old Cham tower. Zooming up Bo Bo Hill, passengers discover its historical importance during the American war. After coffee with the locals, the jeep ascends the famous Hai Van Pass – renowned for its hauntingly beautiful mists and magnificent viewpoints. 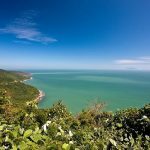 An equally scenic descent arrives at a pristine stretch of coastline near the village of Lang Co. After a picnic lunch and a paddle in the sea, the return journey offers a different perspective, delving into traditional fishing village life. Deep in the central highlands, this voyage packs in a weeks’ worth of discovery. From the golden coast to emerald mountains, the timeless rural scenes of the river delta and a glimpse of the Laos border area, this intriguing trip also visits minority villages. 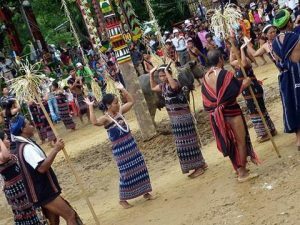 The day begins cruising through quaint villages and hamlets to reach the Co Tu village of Bho Hoong, for a first-hand experience of ethnic tribal culture, a traditional lunch and music performance. Meandering through tea plantations to the Co Tu town of Trung Mung, travellers stop off to visit the former king of the Co Tu people, see traditional wood carvings and enjoy a local brew of tea, coffee or a potent nip of local rice wine. The route back takes in spectacular Non Nuoc beach for a refreshing ending.